Bhutan has announced plans to become the first country in the world to grow all of its crops using only organic agricultural practices. The Himalayan nation, which borders India and China, plans for its food production to become 100 percent organic by 2020. 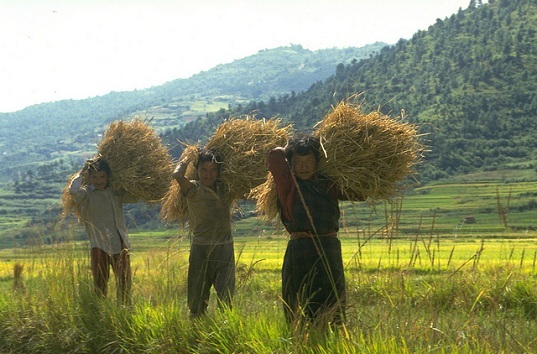 Instead of using artificial chemicals, Bhutanese farmers will rely entirely on animal and farm waste for fertilizers. Bhutan, a small nation of only 700,000, is already largely organic, as most of its farmers don’t use artificial pesticides and herbicides due to their high costs. The country is planning to export its foods to growing market for organic goods in neighboring countries, like India and China. 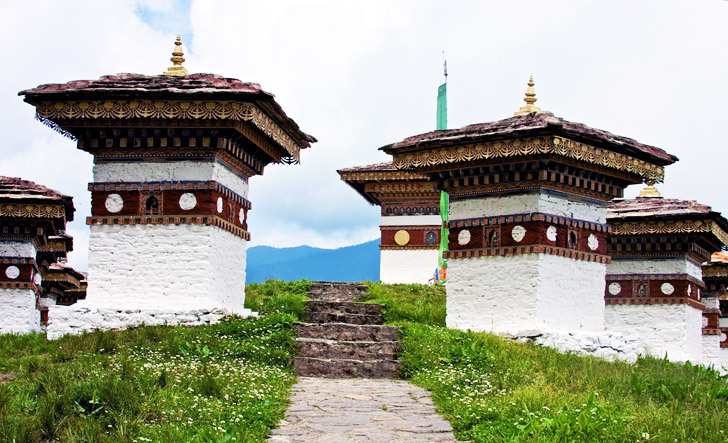 The country’s minister of agriculture and forests, Pema Gyamtsho, announced Bhutan’s decision to completely shift its agriculture towards organic food production at the Delhi Sustainable Development Summit 2013 earlier this month. The minister pointed out the harmful effects of chemical fertilizers, as they tend to produce fruits and vegetables with lower nutritional value and leach away into the ground water. While in the west organic food is thought to reduce the size of crops, as it is less resilient to pests, the Bhutanese are developing new techniques to grow more and keep the soil from losing quality. “We are experimenting with different methods of growing crops like SRI but we are also going to increase the amount of irrigated land and use traditional varieties of crops which do not require inputs and have pest resistance,” says Gyamtsho. However, harsher weather in the past few years has made it difficult for farmers throughout the county to grow enough to sustain their families. As people are leaving the rural areas for the cities in search of better opportunities, many farms are left with labor shortages. Finally aa smart litlle nation become organic and set a exemple to the all world!